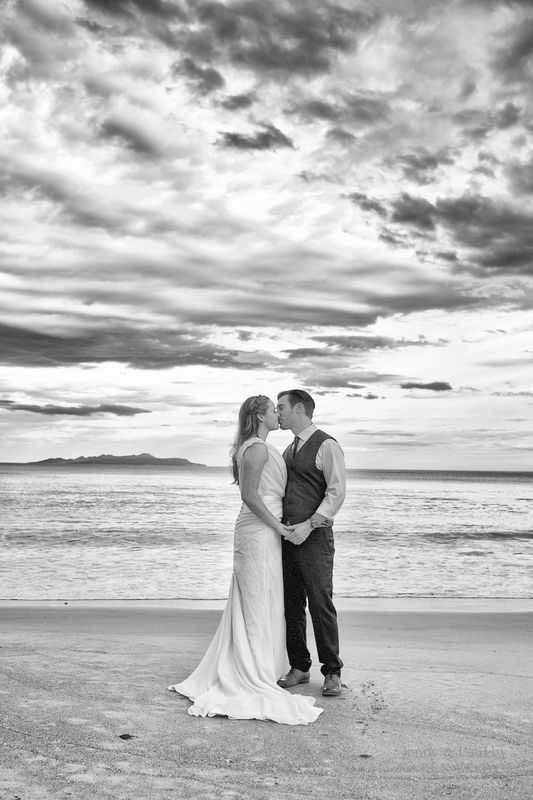 A lovely series of photographs of Jenny and Paul’s wedding at Rocky Hills Retreat near Swansea on the East coast of Tasmania – the images are beautiful and reveal all the tender, funny, joyful moments of the day. 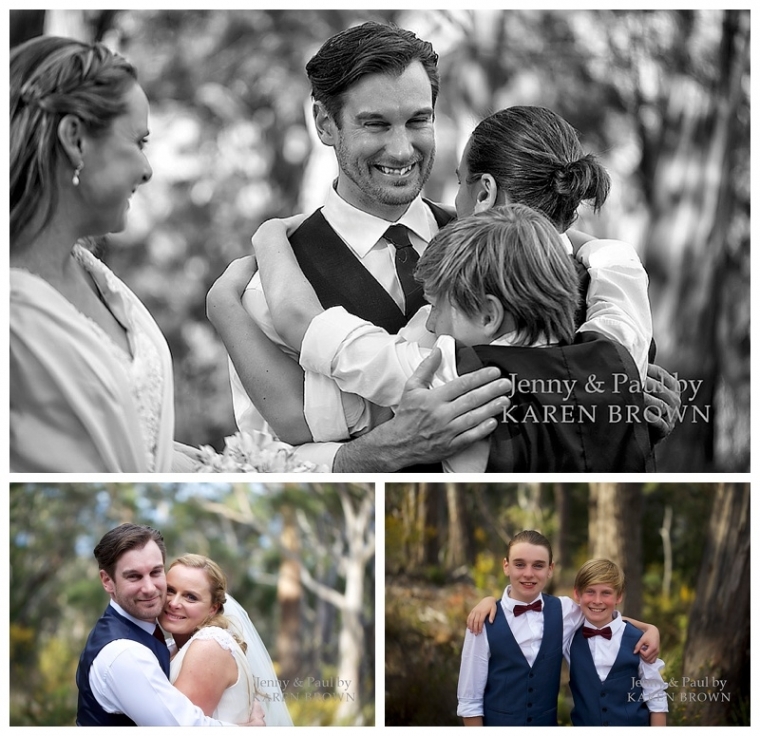 I really felt privileged to be a part of their small and intimate wedding, in the presence of their two boys and both their parents. 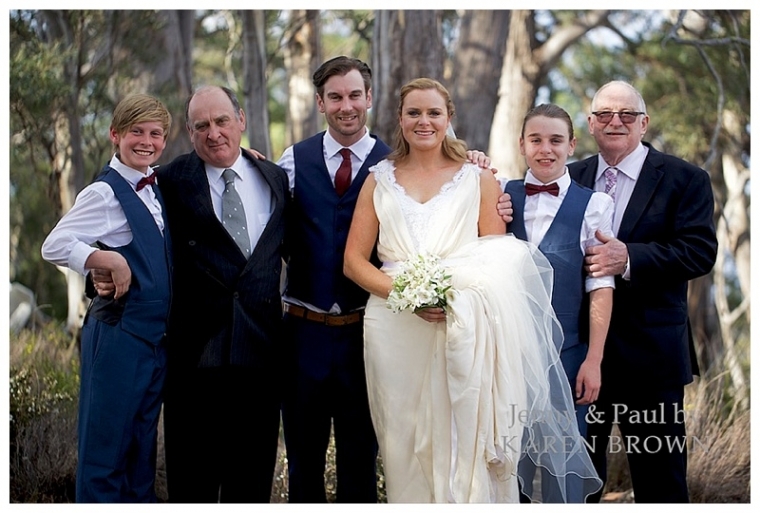 It was a warm and emotional ceremony wonderfully conducted by celebrant Jill Harper. Hair and make-up by Lara Anning. This stunning house high is positioned high on a hill above the Tasman Highway, and on sunset we all went down for a wander on Mayfield Beach.